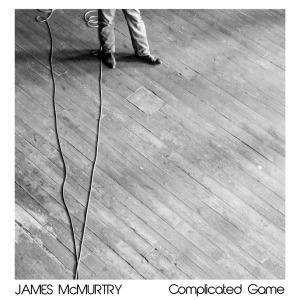 The world James McMurtry paints through his songs is distinctive: a place of stark isolation, of desperate hope struggling against unbeatable odds and where tragedy and beauty make strange but eternal bedfellows. Little wonder his work has been praised by artists as diverse as John Mellencamp, Jason Isbell and Steven King. 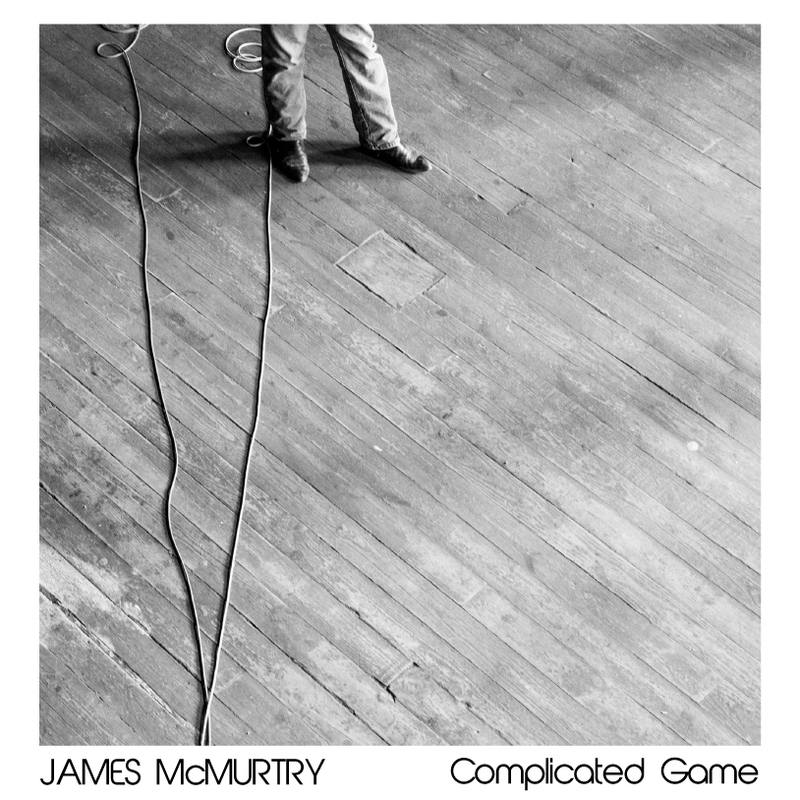 With Complicated Games, set for release on February 24, McMurtry marks his first studio album in six years. Time off has clearly not softened his distinctive vision or his power to render that vision through lyrics and music. McMurtry is not a household name. At least not yet, anyway. But, as two Americana Music Association awards show, he has earned critical acclaim—as well as a loyal following among aficionados of the same stark, unsentimental, almost existentialist, musical poetry practiced by the likes of Billy Joe Shaver, Robert Earl Keen and Ray Wyle Hubbard. Perhaps McMurtry’s descriptive powers are at least partly in the blood, he is the son of a professor of English and novelist Larry McMurtry of “Lonesome Dove” fame. Your reviewer apologizes if the frequent excerpts from the album’s lyrics below make the text cumbersome. But they are also essential to accurately convey this album’s strengths and appeal. Where appropriate, I have made the excerpts parenthetical to minimize any disruption. From the first track on the album, “Copper Canteen,” the minimalist, acoustic approach is highlighted by sonorous guitar strumming and the melancholy twang of McMurtry’s strong voice. From its opening lines (“Honey, don’t you be yelling at me when I’m cleaning my gun. I’ll wash the blood off the tailgate when deer season’s done”) it is a poetic slice of small town ennui. Chronicling marital strife, infidelity, boredom, struggling to raise a family and economic dislocation, it beautifully counterpoises the barrage of cookie-cutter “country, hell yeah!” songs currently crowding Top 40 country radio. “You got to Me” is another appealing acoustic guitar piece, later joined by impressive keyboard sound. Again, it opens with McMurtry’s distinctive twist on the common conventions of country music, “To celebrate our undying faith, we’re gathered here like drifting wrecks, for a late September wedding.” As it unfolds, “You Got to Me” reveals itself as one of the lyrically strongest tracks on an album by a veteran storyteller. It explores the theme of life not meeting youthful expectations (“I knew this town at another time, I knew this town as a younger man. With the world in my hip pocket and a subway token in my hand”) as well as the theme of lost love (“We stoked the fire and let it burn till the embers glowed in morning light. Trust in the tangle of skin on skin. I’ve not known quite that feeling since … you got to me”). The two threads are slowly and exquisitely woven together until it is implied that bride at the wedding is, in fact, the lost love of whom McMurtry has been singing. “She Loves Me” is a love song about a quirky relationship that works well enough (“My love she’s got her notions. I mostly know the drill. She expects to be remembered, as a pretty woman will”) and that is really all one can hope for in the world of McMurtry’s songs. As the track continues, it is further revealed that the woman has taken a lover— which the singer accepts as a consequence of his long stretches on the road, “It was part of our agreement, I signed off on the deal.” But, for all of that, it is genuinely a love song and therein is part of the magic of McMurtry’s songwriting, the ability to render complexities into the beautiful simplicity of roots lyrics. “She Loves Me” is lyrically notable for two other reasons. First, the line “I don’t know if I can hang in such a complicated game” provides the album’s title. Second, the lines, “It’s an airport novella adapted for late night TV. I’m not writing the screenplay, it’s writing me,” are, quite frankly, some of the most delightful songwriting I’ve encountered in very long time. A radical departure from the first four tracks on the album, “How’m I Gonna Find You Now” occupies the perfect nexus point of country, folk and roots-rock, driven forward by the hypnotic cadence of McMurtry’s furious spoken-word vocals. Unlike the rest of the album, “How’m Gonna Find You Now” is chock-full of instrumental and vocal hooks tailor-made for radio and has “single” written all over it. Set against a backdrop of small town trappings, the song chronicles the search for a woman who is, well, the kind of woman one would expect to serve as a muse in a McMurtry song. Instrumentally, look for great roots-rock banjo and, later, some blistering electric guitar that would not be out of place in a straight rock track. “These Things I’ve Come to Know” is another love song. And, while providing an honest accounting of his beloved’s strengths, flaws and quirks (“She’ll spend a dollar as quick as a dime. She goes commando most all of the time. She writes a fine prose, I’d have to say finer than mine. These things I’ve come to know”) it is an unabashedly sweet song. The lines “I don’t know what made me feel so brazen and bold. At the time, I was feeling so wasted and old. And I can’t dance a lick but sometimes I can flat rock and roll,” will warm the heart of anyone who has ever had a love he or she can’t quite believe they deserve. A slow-to-moderate tempo country piece, beyond good acoustic guitar and percussion look for some accordion to add distinctive flavor to the track’s instrumentation. “Carlisle’s Haul,” a contemporary country/Americana piece with a Robert Earl Keen flavor and an electric organ adding a bit of soul, is one part story-song and one part tale of economic hardship. Through the story of the aging fisherman, Carlisle , it paints a grim yet stoic picture of the decline of the Gulf Coast’s fishing communities, “It’s hard not to cry and cuss when this old world’s bigger than us. And all we’ve got is pride and trust in our kind.” It would be easy for such a tale to devolve into a series of clichés, but McMurtry treats the subject with compassion (“We gather round and we hold out hope. Cause at the end of the rope, there’s a little more hope, most times”) and nuance (“Let’s all get on back to town, before the warden comes. He knows better than to get her before dawn. He’s got that green uniform and the kids think he’s a jerk. But, you know, he’s somebody’s cousin and we can’t have a hometown boy out of work”). Old-school country with a bit of bluegrass, “Long Island Sound” treats a less conventional location for country and Americana than the Gulf Coast or South Dakota. Having moved with his family from Oklahoma to New York for a job, the subject of the song realizes he should be happy (“I got a bay boat and 401k, two cars in driveway, two boys in a girl”) but is, instead, deep in the midst of an existential crisis (“When 5:30 rush gets across Island Parkway, it’s not for the squeamish or the gentle of heart. I’d be stuck on the bridge in the right lane at sunset, watching the boats with their snowy white sales. Watching the sun sink over the projects, laundry hung out on the balcony rails”). By the time the song reaches its refrain of, “These are the best days. Y’all put your money away. I’ve got the round. Here’s to all you strangers, the Mets and the Rangers. Long may we thrive on the Long Island Sound,” the implication is one of great irony. For someone who enjoys good Americana and roots instrumentation, Complicated Games will be a welcome addition to your collection. For a true connoisseur of poetic lyrics who is not afraid to take a walk on the dark side, Complicated Games will be one of the must-have albums of 2015. . Complicated Games will be released on February 24th on Complicated Game Records. A limited edition 7” vinyl EP containing the songs “How’m I Gonna Find You Now” and “These Things I’ve Come to Know” is already available for sale. The full album can be preordered on CD or vinyl.